I love your work! 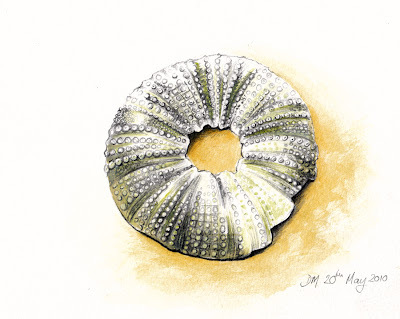 This sketch is just lovely, detail even down to the last prickly bobble on the shell. Great sketch! It's amazing how you get so much detail in, I don't think I would have dared to attempt this. Great work! Wow! I am always impressed with your drawings, but this one is really really great! You manage to create a sketch, that looks like you did it just like that in a few minutes, it's simple, yet has detail and depth and structure! And a sea urchin definitely isn't an easy subjects. And I love sea urchins too!